"With food stamp use at record highs and climbing every month, a program once scorned as a failed welfare scheme now helps feed one in eight Americans and one in four children," say the front-page story in the New York Times. You might be tempted to think there would be a strong correlation between food stamp use and political orientation. 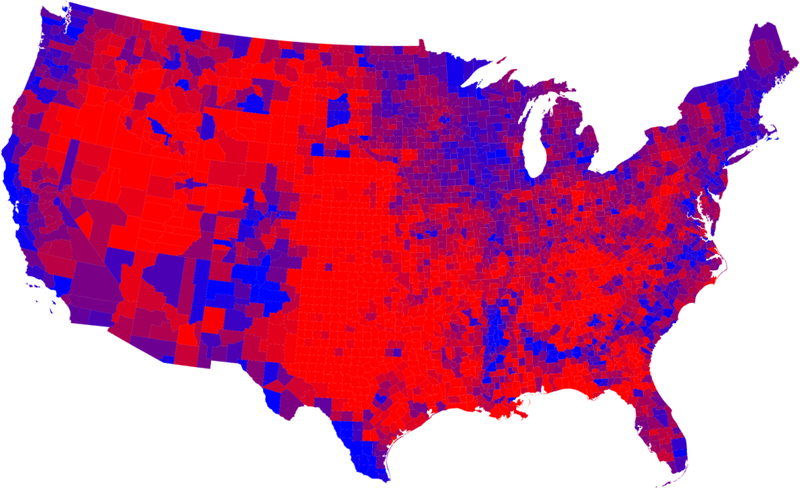 A color-coded map of the 2008 election shows some correlation between liberal voters (southern Texas, norther New Mexico, and the intersection of Arkansas, Louisiana, and Mississippi) as well as conservative voters (eastern Kentucky, southern Missouri, and Alaska).